When Did Ecuador Become A Country? Ecuador became an independent republic in 1930 after separating from Gran Colombia. 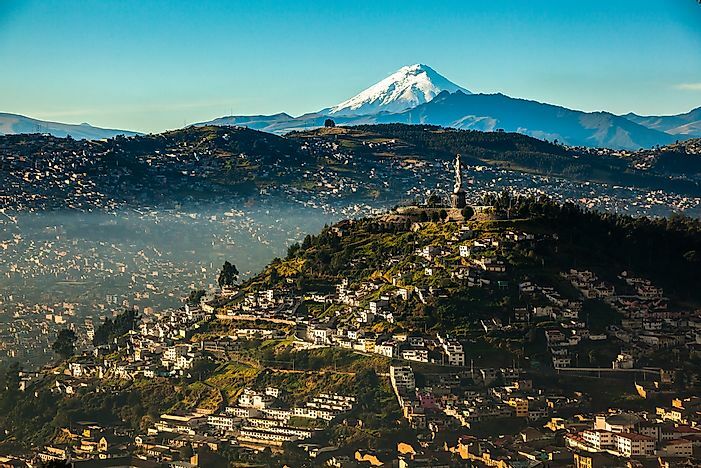 Quito is the capital city of the Republic of Ecuador. Ecuador celebrates its Independence Day on May 24th which marks the day when the country gained independence from Spain in 1822. Before Spanish colonization, Ecuador was part of the Inca Empire which was established in the early 15th century. Spain established a colony in Ecuador in the 16th century which was known as “Real Audiencia of Quito.” The colony was established in August 1563 through a royal decree. Unlike Spain’s other colonies, it enjoyed relative autonomy, as the colony’s long-distance from the Kingdom of Spain made direct administration problematic. The Audiencia of Quito would later be incorporated into the Viceroyalty of Peru. The first significant quest for independence of the Audiencia of Quito happened during the 1809 Quito Revolution, which was successful, albeit temporarily. After three years, the Audiencia of Quito was annexed back to Spain in 1812. The colony would later be embroiled in another armed conflict with its colonial master, Spain, between 1820 and 1822 in what was to be known as the Ecuadorian War of Independence. The Ecuadorian War of Independence brought together armed forces from all over northern South America. Spain’s forces were led by Melchor Aymerich whose war tactics were renowned in the entire Spanish Empire. In the years preceding the war to liberate the Audiencia of Quito, Spain had already faced defeat against forces led by Simon Bolivar in the war to liberate the Viceroyalty of Nueva, which inspired the Ecuadorian War of Independence. The war was one of the numerous wars Spain engaged in the early 19th century as more of its colonies in South America fought for their independence. The first city to be liberated from Spanish colonial rule was Guayaquil which gained its independence in October 1820. The war ended in May 1822 after Spanish forces were defeated in the Battle of Pichincha, resulting in the liberation of Ecuador. Soon after gaining independence, Ecuador got into a federation with three other former colonies of Spain — the United Provinces of New Grenada, the Royal Audiencia of Panama, and the Third Republic of Venezuela — to form La Gran Colombia Federation. However, the relationship among the constituent countries of La Gran Colombia was not rosy, with Ecuador feeling short-changed in the governance of the federation. Ecuador had many issues that were not addressed while it was part of Gran Colombia. The most pertinent of the issues was the proliferation of cheap textile imports into Gran Colombia which had detrimental effects on Ecuador’s textile industry. Instead of looking for a solution to Ecuador’s economic plight, the then leader of the union President Bolivar focused his attention on the expensive war with Peru. Other underlying problems faced by Ecuador were the nation’s underrepresentation in the administration of Gran Colombia. Officials from Venezuela and New Granada occupied many governmental offices in Ecuador, a problem that was also seen in the composition of Gran Colombia’s armed forces which was predominantly made up of New Granadan and Venezuelan soldiers. Ecuador pulled out of the federation in 1830 to become the Republic of Ecuador.